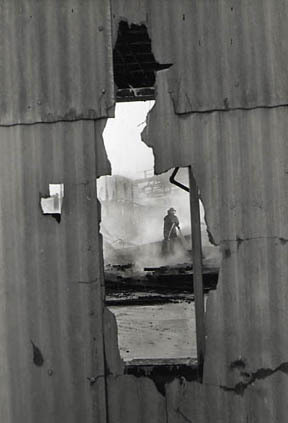 Pat Hathaway has been documenting Cannery Row for over 40 years and has hundreds if not thousands of photos of almost every foot of Cannery Row. He first became interested in the history of Cannery Row at Pacific Grove High School. In a summer school class in marine biology that used Between Pacific Tides as the text book for the class, that introduced Pat to Ed Ricketts and Cannery Row. In January, 1958, long after the publication of Steinbeck's novel, Cannery Row, the city of Monterey renamed Ocean View Avenue to Cannery Row. 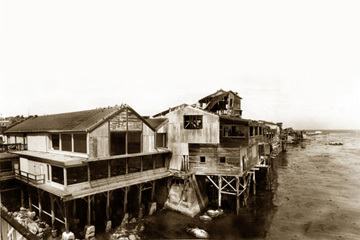 Hovden Cannery was the last to close on Cannery Row in 1973 in what is now the site of the Monterey Bay Aquarium. Cal Pak or California Packing Corp. packed the Del Monte brand label from 1926, closed it's doors in April of 1962 and burned in 1967, 1973 and 1986. Early Monterey Fishing industry Gallery. And photos of other click purse seiners from the Monterey fishing fleet. Holdings: over 28,000 of Monterey County listed in our database. Photos of Cannery Row from the 1960's to today. We also have aerials photos of Cannery Row and the Sardine fishing industries. 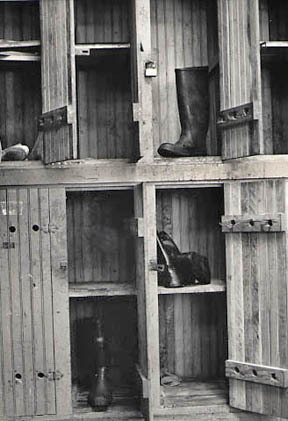 Early Monterey Fishing industry Gallery and photos of Cannery Row from the 1960 to today. Cannery Row Interiors views of packing tables, fish cutting	and machinery. historical prints of Cannery Row. In the American Tin Cannery at 125 Ocean View Boulevard, Pacific Grove. Gone but not forgotten photos of our lost history. or any combination of the above for a small fee.